Which Vape Tank and Rebuildable Should You Buy? When it comes to tanks and RDAs, vapers have much more control over their vaping experience due to the many products available today. 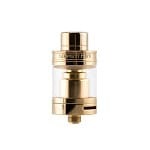 We have tested and reviewed over 20 tanks and RDAs to come up with a list of the “best tanks and RDAs for 2019”. Our number #1 Top Pick for sub-ohm tank is the Uwell Valyrian, and the top pick for RDAs is the Hellvape Dead Rabbit. We chose them for ease of use, build quality, and stellar performance. Here are a few specs for each one. 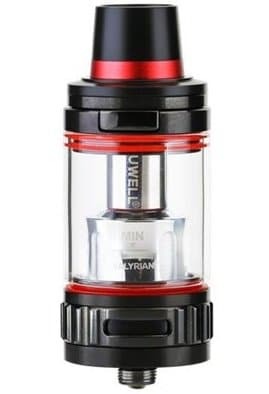 The Uwell Valyrian is considered by many experienced vapers to be one of the best sub-ohm tanks on the market today, and we tend to agree. The Hellvape Dead Rabbit is a coil builder’s dream with a simple, easy to build on deck and flat grub screws. Which Type of Tank, RDA, or RTA is Right For You? Vape tanks have greatly improved since the very beginning. As vapers move from one phase to another in their vaping journey, their need for equipment changes. In the past couple of years, some great tanks and rebuildables have come out that definitely take it to the next level. 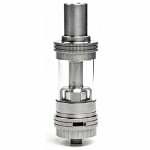 A sub ohm tank has low-resistance coils. A standard resistance coil ranges from 1.8 to 2.4 ohms and is made for use in tanks with variable voltage capability. Sub ohm coils range from .12 to 1.0 ohm and are meant to be used in sub ohm tanks for increased wattage and vapor production. More wattage equals more power, more power to the coils means increased vapor because lower ohm coils can handle more heat than standard coils. RDA stands for Rebuildable Dripping Atomizer. An RDA consists of a build deck with positive and negative posts for the coils. The bottom and sides make the juice well where the wicks sit to absorb the juice and feed the coil. When e-liquid is dripped onto the coils the excess will collect at the bottom of the well to keep the wicks saturated to prevent dry hits. RDAs have no chimney section, only the build deck and top cap for the airflow. Squonk tanks are relatively a new tank that fits mostly new RDAs. Squonk RDA’s are bottom feed rebuildable drip automizer units that push the vape juice up into the juice well and into the cotton of the RTA. These new squonk RDA’s are aimed at vape users that want a more all in one solution. It contains a bottle that sites inside the mod unit and it does away with the need to carry a bottle with you. These bottles can hold anywhere from 7ml up to 30ml in fluid making it an ideal solution to use a drip atomizer and not have to carry a vape juice bottle everywhere you go. 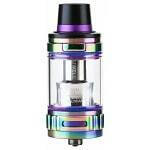 An RTA or RBTA is a rebuildable tank atomizer. It’s a tank with a build deck on the bottom for your coils. One of the first RTAs to come out was the Russian 91%, The Kayfun followed and after that, the Genitanks (named after the Genesis). RTAs combine the best of both worlds in one device. They offer rebuildable coils for those who like to DIY but with the convenience of a tank for larger juice capacity. Some more great RTAs include the Smok RSST, The Orchid V3, The Lemo 2, and the GeekVape Griffin. RTAs function just the same as any other sub ohm tank & have adjustable airflow, top-fills and break down for easy cleaning. When it comes to tanks and RDAs there isn’t a whole lot of features. It is mainly airflow, deck-style and size of your juice well. Again, this will be personal preference. If you prefer a wide open airflow then find one with a large slot for airflow. If you like to be able to choose the amount of air you get with each draw then choose one that has an adjustable airflow than can be opened all the way or closed down to allow for a tighter draw. Most of these are relatively priced about the same, between $20-$30 on average. Some tanks may be a little more depending on how advanced they are. If they have special features like “cyclone airflow” or the ability to use other coils. How easy a device is to use is an important factor when you’re making your purchase. If it has a complicated build deck (ex. 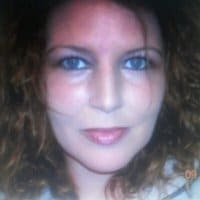 for more advanced builders) it may not be something you may want (or have experience for) right now. A simple 2 – 4 post design is ideal for new builders who are just starting out. Once you have a little experience building different coils you can upgrade to more advanced styles. Coil building is a great way to customize your vape experience to be consistent every time. A clone is a copy of a popular tank or RDA. Most online retailers have a “no clone” policy so if you buy from them you can be sure to get only authentic devices. The reason many vapers avoid clones is that they consider them to be of lower quality, which may not necessarily be true. Many clones are well-made and just as good as the original, you should just know what you’re buying. You have probably heard the terms “velocity-style deck” which refers to the build deck of the RDA. Some have two posts (one positive, one negative) or 4 posts (two positive, two negative) and a few have just one post off-center. In the beginning when you first start building it is good to start with a simple build deck with 4 posts in the center. There is plenty of room for one or two coils without crowding. Hybrid atomizers – also called hybrid top cap devices – are a known source of trouble for inexperienced vapers. No doubt you have heard of the “exploding device” stories, & one source of these is the hybrid top cap. It’s caused by using a hybrid mod with an RDA or tank with a non-protruding pin. It happens more often with mechanical mods. So make sure your tank & mod are compatible. 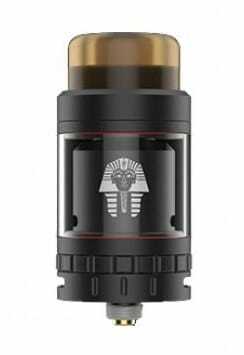 Why Buy a Sub Ohm Tank? Sub ohm tanks are great for vapers who don’t like to hassle with coils, or don’t intend to try DIY for a while. Coil heads are plentiful and all you have to do is buy a pack of 10 and you’re good to go. They require very little maintenance and are usually easy to clean and replace the coils. Some screw into the base for ease of use and some may fit inside the top cap, just depends. For the most part, sub ohm tanks are perfect for those who just want a solid tank that produces good vapor and is easy to fill. 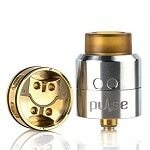 Is an RDA Right for Me? To determine if an RDA is right for you ask yourself some questions. How do you like to vape? Do you prefer low maintenance? Do you like to build your own coils? How do you feel about carrying juice bottles for dripping? If you agree to these questions then you may like an RDA very much. 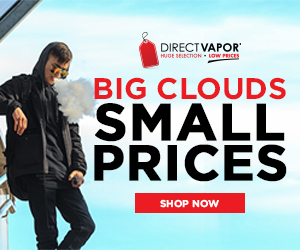 Many vapers get into DIY because they like that they can save money over buying pre-made coil heads and after a while, DIY becomes a hobby trying out the latest coil builds your favorite YouTuber has a tutorial on. One thing you will notice with an RDA is improved flavor. They give a cleaner, truer flavor of any juice you use with it. Tanks can mute flavors a little, but RDAs make them “pop”. The third option here is the RTA, which is the best of both worlds. A build deck for wrapping your own coils and a tank section for filling up for all day trips or anytime you don’t want to carry juice.The build decks in RTAs are just like the ones in RDAs, so think of it like slapping a tank on your RDA. It’s basically the same thing. Convenient and economical, once you start using one you may never go back to regular tanks again.